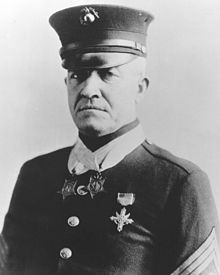 Combat Marine who twice was awarded the US Congressional Medal of Honor for bravery in the face of the enemy. "For Chirst Sake men--come on! Do you want to live forever." Trinity of love and power!